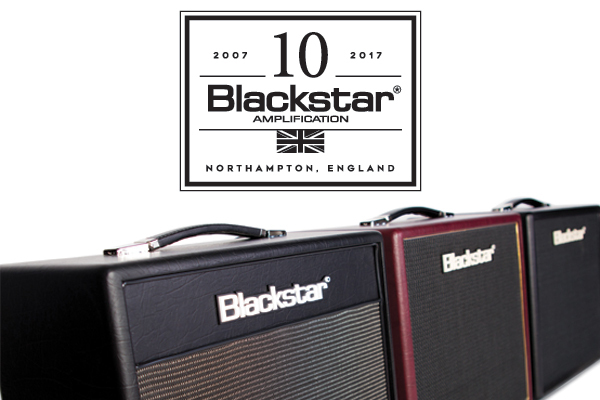 In celebration of 10 years of glorious Blackstar tone, three new 10W single-ended valve amplifiers have been developed drawing on the sound and innovation of iconic Blackstar lines - Artisan, Artist and Series One. Each product is honed for home and studio use and has a wealth of features and a super cool retro look. Series One 10 AE driven by the mighty KT-88 and an ECC83 in the preamp stage. Inspired by the now legendary S1-200 this product benefits from the extra headroom of the KT-88, resulting in dynamic modern cleans and tight high-gain overdrive. In addition the patented ISF control gives access to more distortion flexibility than any other single-ended valve amplifier on the market.